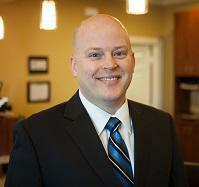 Brandon B. Wilson, DC, is the clinical director at Regenesys Physical Medicine in Frisco, Texas. He leads a team of dedicated professionals who share his passion for relieving pain and helping patients in the area gain the knowledge they need to make positive lifestyle changes that can lead to improved neuromusculoskeletal health and mobility. He has been in private practice since 2008. He is passionate about helping his patients get out of pain and empowering them with the knowledge necessary to make positive lifestyle choices. Dr. Wilson has been recognized for his expertise and leadership in the area of chiropractic and drug-free pain management with multiple TV appearances and awards over the years. He is happily married to his best friend Carolyn and has two children. Dr. Wilson also speaks fluent Spanish which he learned while serving a two-year mission for his church in Santiago, Chile. He is active in various service, leadership, and civic organizations and is dedicated to helping change the healthcare of his community for the better. Although a native of Allen, Dr. Wilson and his family are very happy to live and work in the Frisco area and look forward to staying here a long time.